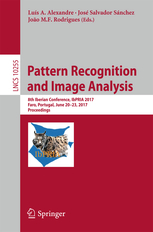 The eighth edition of the Iberian Conference on Pattern Recognition and Image Analysis, IbPRIA 2017, will be held in Faro (Portugal), June 20-23, 2017. IbPRIA is an international conference co-organised by the Spanish AERFAI and Portuguese APRP chapters of the IAPR International Association for Pattern Recognition. IbPRIA is a single track conference consisting of high quality, previously unpublished papers, presented either orally or as a poster, intended to act as a forum for research groups, engineers and practitioners to present recent results, algorithmic improvements and promising future directions in pattern recognition and image analysis. All accepted papers will appear in the conference proceedings, and will be published in Springer Lecture Notes in Computer Science Series. A copy of the proceedings will be distributed to all participants at the Conference. 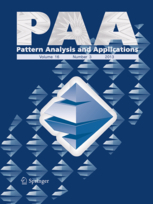 In addition, a short list of presented papers will be selected so that revised and extended versions of these papers will be published in the Pattern Analysis and Applications journal. Jun. 26 2017: Pictures from the event are now available, IbPRIA2017 at flickr. Jun. 13 2017: Final Program available. Apr. 21 2017: Program is now available. Fev. 17 2017: Early registration is now open. Fev. 17 2017: Camera-ready due to 10 March 2017. Dec. 09 2016: Paper deadline submission - final extension (06 Jan. 2017). Nov. 26 2016: Paper deadline submission extension. Oct. 15 2016: Tutorials information is now available. Jun. 02 2016: 1st Call for papers. May 15 2016: Site is now available. May 15 2016: Facebook is now available.